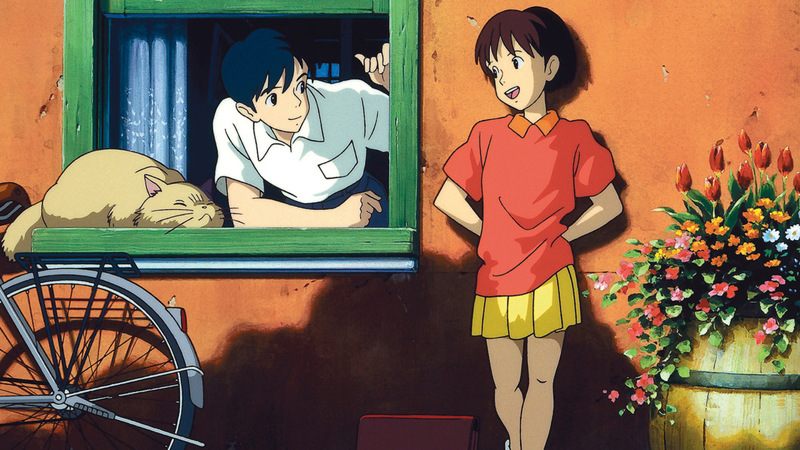 It's time for another "greatest hits" retrospective of the Studio Ghibli movies, and UK movie blog Set The Tape is the latest contender. The first part of their multi-episode saga began last week and will continue in the coming days and weeks. This is going to be interesting reading. If nothing else, it's gutsy to put fan favorites Porco Rosso and Whisper of the Heart at the bottom of the pile. I'm looking forward to reading the fan comments defending their favorite Ghibli movies. Do people still leave comments on blogs? Whatever. I do hope the writers will continue to shake things up as they move down their Ghibli rankings. Please don't let this be yet another list that puts My Neighbor Totoro and Spirited Away on top. That's just lazy. Be a little more creative with your top pick and argue the case. Surprise us. Follow Set The Tape for future installments on their Ranking Studio Ghibli series. Wahhhhhh. I don't know, I haven't read the linked article, but my immediate thought is that those ranking the movies aren't particularly Ghibli fans? I can take any of these movies in the top five, even if I disagree, but what I expect from Ghibli fans is to put a Pom Poko or Porco Rosso higher than we'd think and to tell us why it belongs there. I can see that being justified, while I can't see Porco Rosso being ranked lower than all of the most recent Ghibli films. Most Ghibli fans are extremely casual. They like certain characters, like Totoro, Catbus, No Face, Kiki and Jiji. They connect more easily to Miyaaki’s colorful fantasies than Takahata’s realism, because that’s closer to what exists here. For the movies, Spirited Away and Totoro are the favorites. Most of the Miyazaki movies follow after. Whisper/Mimi often ranks pretty well. Arrietty was the most popular at the US box office, mostly because kids know the books. Most everything else is in the back, rarely acknowledged or seen. And don’t get started on the pre-Ghibli movies. Castle of Cagliostro can’t get arrested in this town. Fandom is mostly centered on pictures, artwork and social media, since that’s where teens and 20s hang out. The Ghibli-themed blogs are nearly all extinct. None of the books sell worth a damn (any text-based academic book on Ghibli sells zilch). Miyazaki’s last feature film was dead on arrival. There was excitement for Miyazaki’s return, and Mary and the Witch’s Flower has a little buzz (if only a little). Nobody cares abut Ronja the Robber’s Daughter. Because of this, I think this new Ghibli poll is pretty accurate to today’s fans. It’s unhappy news if you’re a completist fan who enjoys everything, but that’s 5he world we live in. If it can’t be distilled into a two-second digital sugar pellet, you’re outta luck. Them’s the brakes. As for the poll, the top movies will be Totoro, Spirited Away, Kiki, Mononoke and...um, well, that’s the wild card. Maybe Nausicaa or Castle in the Sky. Maybe they shock us with Omohide Poro Poro. When Marnie Was There or Arrietty could be a spoiler, don’t count them out. Pass the popcorn. Thanks so much for your coverage Daniel on the ranking of Ghibli's films at SET THE TAPE. Rather than a collective ranking by all the writers, this was my own personal positioning of the series. I was lucky enough to rewatch all the films in [roughly] chronological order (Red Turtle I saw on release midway through and Ocean Waves was released after I watched everything) and, though not purposefully trying to ruffle feathers, I have always struggled with the pedestal that Miyazaki is placed upon next to Tahakata - they are both geniuses in my opinion. I've already seen some negative comments regarding the positioning of Pom Poko, Whisper of the Heart and Porco Rosso but I hope that this is merely a good starting point for discussion. Obviously, I mean no offence and, other than Tales of Earthsea, every other film is a recommendation. Let me know how you get on in the coming weeks!